We now have two identical 1 BD garden apartments in the same complex, close to one another. Can be rented separately, but also perfect for friends or family who are interested in staying close to one another. Tastefully designed newly renovated, 1BR apartment located at the heart of the Marina complex with a shared private pool, 3 min walk from the beach in Herzelia Pituach. The suite is fully furnished, fully equipped and includes everything you will need for your vacation / stay. Situated short walking distance from restaurant & bars, big super market and a luxurious shopping mall. The suite is equipped with large closets and cabinets, central air –condition and heating, Kitchen equipment includes: large fridge, dishwasher, build-in oven and stove, microwave, Nespresso coffee machine, dishes, pans, pots, and necessary cooking equipment, LCD TV, and sound system, Wi-Fi, cable TV, iron. But more important it is designed with details in mind to make your stay pleasant and give you the home away from home feeling. The one bedroom quality garden suite in Herzelia was perfect for our stay. Well kept, great equipment and WiFi to keep away those nasty extra costs when travelling. The attention to the "home from home" experience is there in every way. We thoroughly enjoyed our stay and will for sure be booking again next year and beyond. A wonderful place to stay in Herzliya! 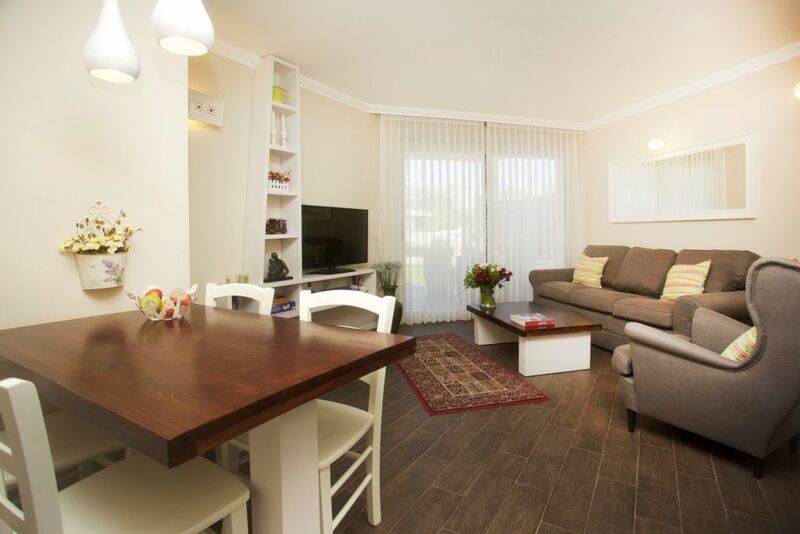 A fantastic apartment with everything we needed for our family holiday! Loved the outside area ad being so close to the pool and the marina! Perfect! Will definitely be back! If there's anything better than feeling at home, it's feeling at home while on vacation. Lili's Place is owned by amazing people who have thought of every little (and big) detail. We arrived at the 1BR Garden Suite to find a beautiful, clean, very comfortable suite, with everything we needed already in it. Not wanting to leave is probably the strongest memory from this vacation. The style and service were outstanding and we were able to relax and enjoy ourselves immensely. Thank you Ronit and Kiki!! We recently returned from a 10 day stay in Israel. We travelled with our toddler and couldn't have been happier with the accommodations! The suite is gorgeous, brand new and tastefully decorated. We found that it had absolutely everything we needed for our stay, especially special arrangements for our daughter (crib, high chair, etc.). It was great to have parking and have such easy access to stores/restaurants etc. While we were busy visiting with friends and family, we also enjoyed some time at the beautiful Marina complex and on the beach. Thank you so much for making our stay so wonderful and we will definitely return on our next visit!